I bought myself a 2002 AU Series III SE 5.0 ute on Monday...Picked it up this morning. 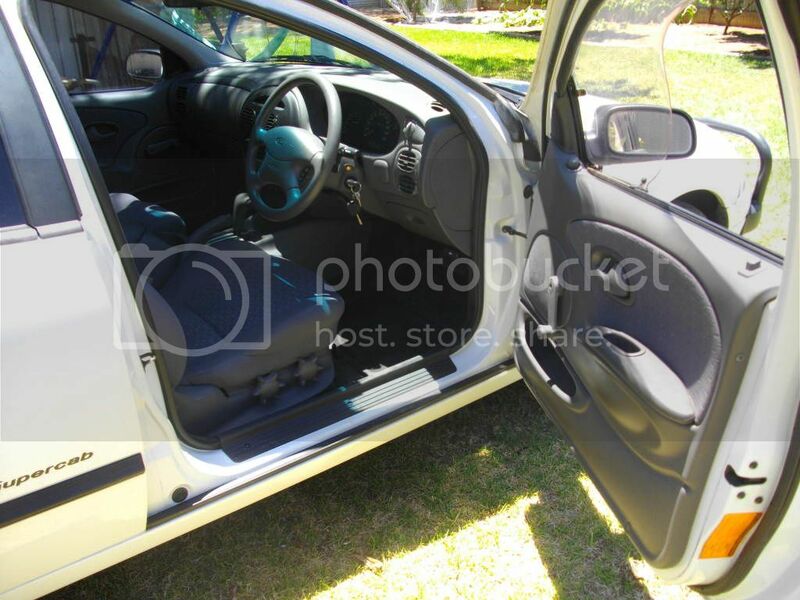 It's got factory LSD, ABS, Cruise control, Factory rollbar, Factory 16" alloys, Factory wind sheild on the drivers door, Factory cabin tidy behind the seats, Factory 2300kg Hayman Reese heavy duty tow pack. Don't like the factory bullbar....That will be going ASAP along with the orange side repeater indicators. 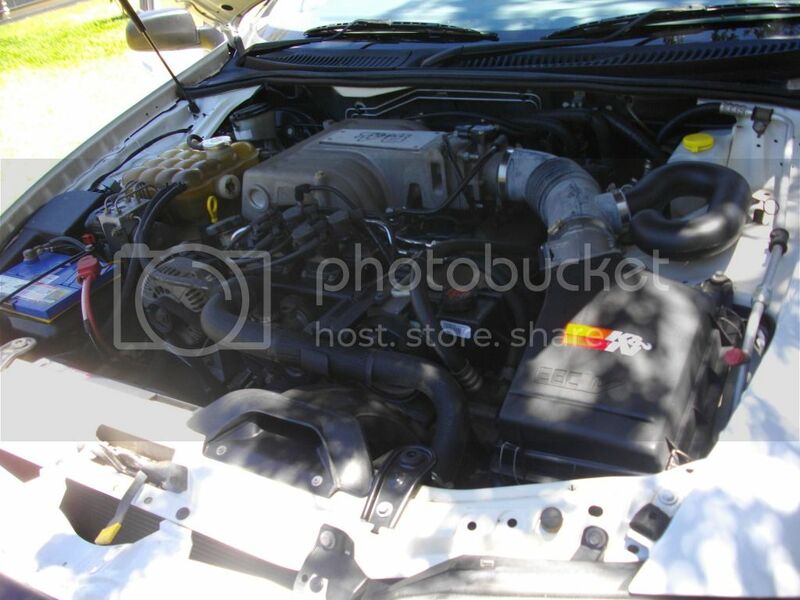 Put my K&N panel filter in it. 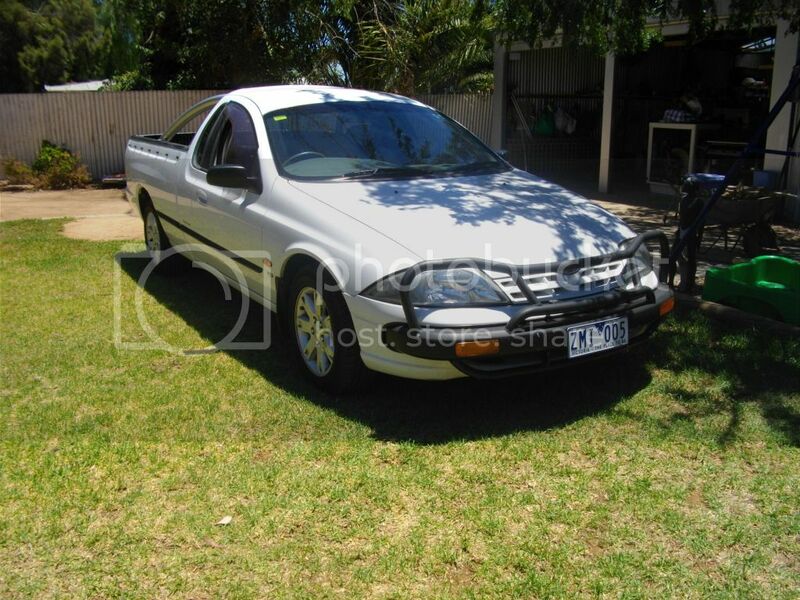 It was previously owned by a cop in Dareton NSW (Dareton is around 25 K's from Mildura). It's got full service history too. This will be a slow project so updates won't be too often but when I do update I will include pics. looks nice n tidy there. Cheers mate. I'm extremely happy with it. 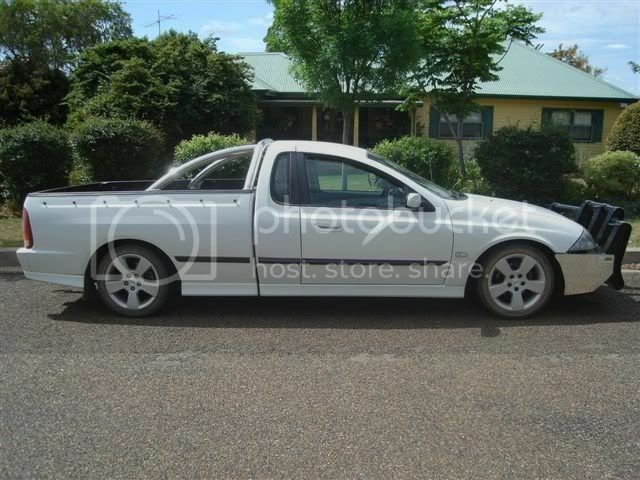 The ute drives like new. 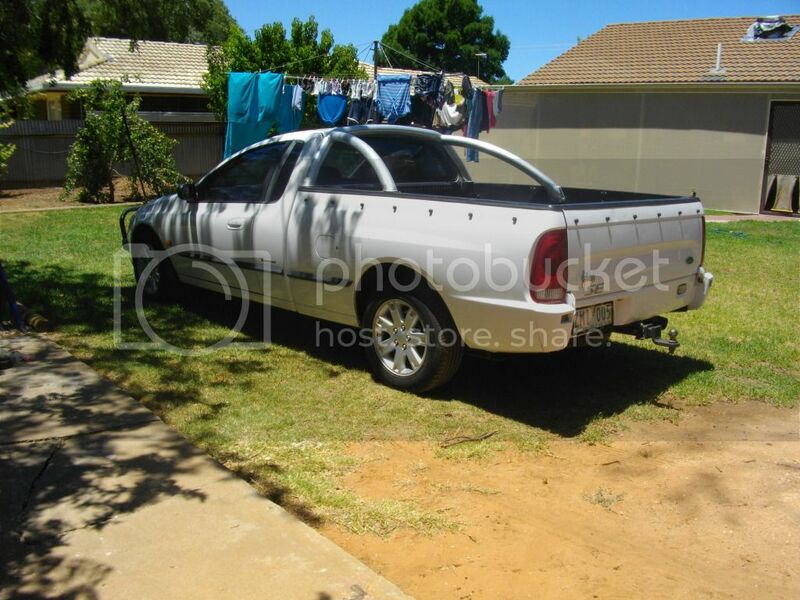 It came with the tonneau cover but it needs re-stitched in a few places so I'll be getting it repaired early January when the canvas place here in Mildura re-opens in the new year. 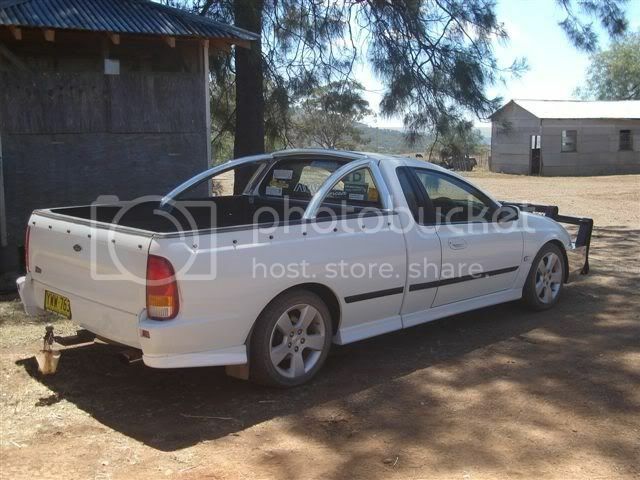 I've got alot of plans for the ute but it will all come slowly due to being on the DSP. Cheers Chris. Yep plenty of room for the dogs when I take 'em down to the river for a swim. Put a set of Hella driving lights on the ute last night. 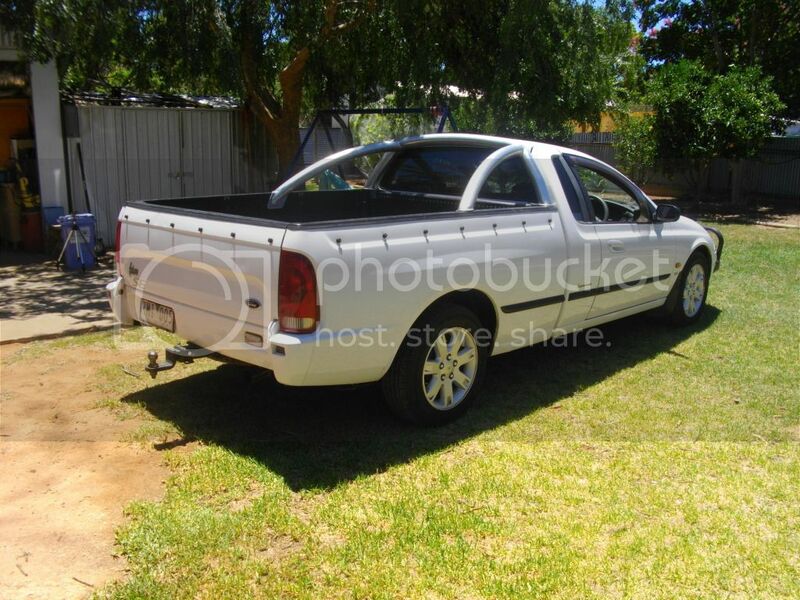 I'll be putting my UHF into the ute once I find a 45mm aerial bracket for the bullbar. I noticed that the light on the AC switch isn't working so I'll need to replace that, Which leads me to one question...How do I remove the facia in order to get to the globe for the AC switch? I removed the ashtray and removed the 2 screws but it still wouldn't budge and I don't want to go applying too much pressure incase I break something. lol, yeah I dunno Paul, I've never had a chance to pull an AU to bits yet, go into The Motor House and see Tony he'll know how to do it. Thats a good idea. 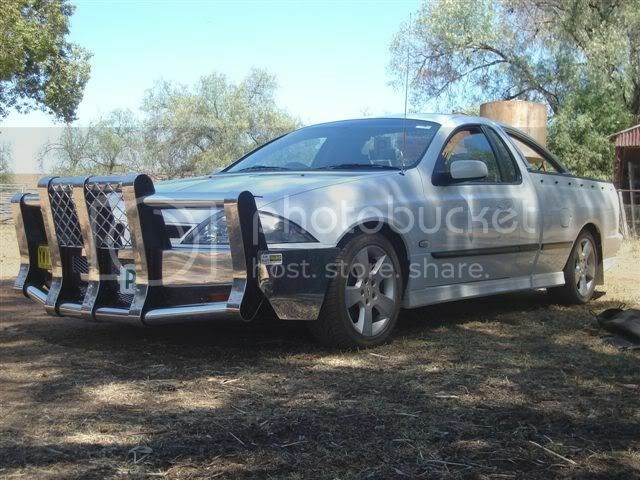 I need to go there and see about some bits for the ute so I'll ask Tony while I'm there. Cheers mate. 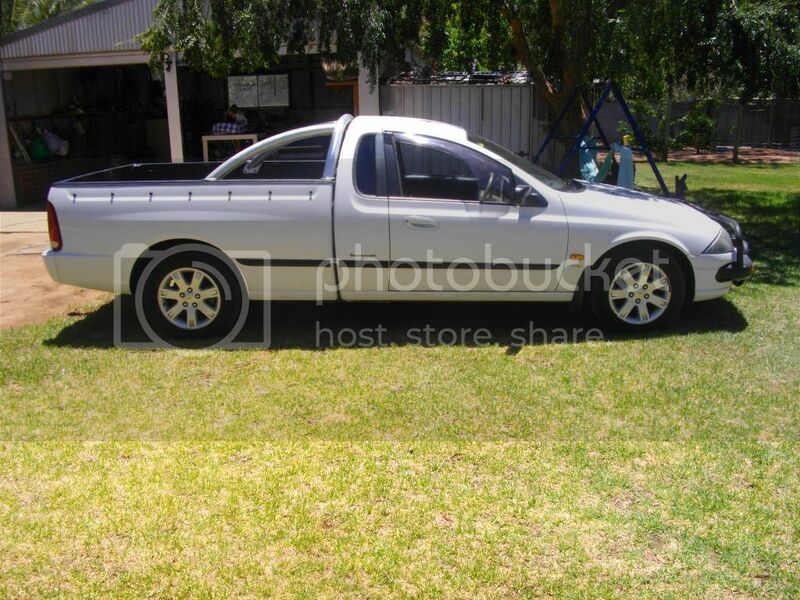 I've always loved B&S utes so thats how I will be building my ute. It won't be over the top like alot of them are with stickers plastered all over the place. Eventually I'd like to get a nice polished alloy 5 poster bullbar and a couple of bull lights. I've always liked BNS utes to. What you plan to do isnt over the top but its not underdone either. I reckon it'll look awesome! Last edited by Stealth6 on Thu Jan 10, 2013 9:58 pm, edited 1 time in total. A few items that I will need for the ute are a left mirror, Actuator for the drivers door and also a digital dash clock for the Series III AU. The clock that is in my dash is buggered - The last digit doesn't show up. remove the head unit and there are 2 screws in behind it. Cheers mate. I just bought a set of those head unit prongs off ebay so I will be able to remove the head unit once they arrive. I have the code so I can enter that into it once I've finished to get the stereo working again. I'm thinking I might have to wait until I can find a digital clock so I can do everything the same day. The clock is buggered...The LCD display is fading - The last digit is unreadable now.